There are many definitions of user experience. A previous reDUX blog post sought to clarify the differences between user experience and usability, two terms that, while related, are not synonymous. I like the definition of UX posited in that post and taken from the UX experts Nielsen-Norman Group: “[User experience includes] all aspects of the end-user’s interaction with the company, its services, and its products. The first requirement for an exemplary user experience is to meet the exact needs of the customer, without fuss or bother.” This definition gets at the core of user experience: providing a positive experience at every point of service. To many people, libraries are a magical place, overflowing founts of wisdom. This older patron reminded me why I have wanted to be a librarian for so long, why I am in library school: I love libraries—they contain multitudes. But libraries (both their physical and electronic manifestations) can also be overwhelming places. I see the quiet looks of confusion on the faces of incoming freshmen, on the faces of those users who confess to me at the desk: “I’ve never been in here before. I don’t really know what I’m doing.” Libraries have the information and they have the users to disseminate the information to—and this is great. However, the technology that is used to disseminate this information moves at what sometimes feels like lightning speed, and this can stymie some users. Libraries have been around for centuries and centuries, for instance, while the conversion from card catalog to OPAC has taken place in just a few short decades. The older gentleman I assisted wanted his books, and he hoped with the hope of all library lovers that we would have them and be able to find them for him. Where he hit a roadblock was with the new technology, so easy for me who has grown up with it and assimilated its changes in real time, but not so easy for him, who was brought up with a totally different system. Here are some key terms derived from questions oft-posed by patrons at the reference desk. While this story might seem like nothing more than a cozy anecdote, I think my interaction with this user has very real, if basic UX implications. Users come to the library with a variety of backgrounds, skill sets, and needs, but what they all share is the desire for a positive user experience. That experience might seem relatively simple, small, especially to the library professional, but it can make a world of difference to the user. A positive experience is one that either will help to further foster a user’s love of libraries or will demystify the library and its many systems so that he or she comes back the next time feeling a little more intrepid. 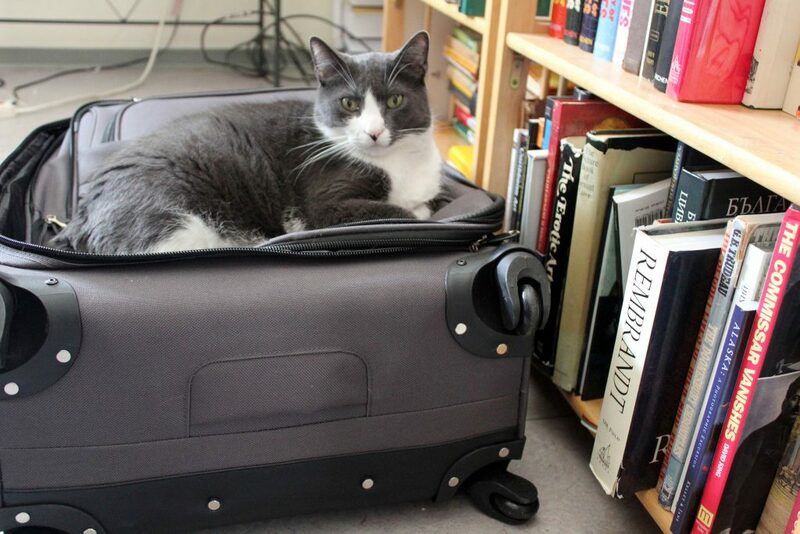 By the way: You can learn all about Library Guest Accounts here and Requesting ALF Items here. You can see a summary here and/or download the full report. This report covers the reading habits of 16 – 29 year olds, including the primary demographic for IU students. The report mainly focuses on reading and how these demographics use e-books at a public library, but it also offers guidance about how discovery tools can be used. 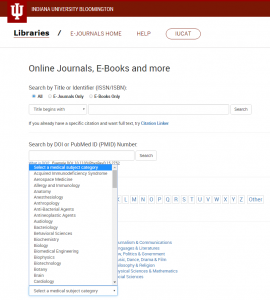 With IU about to launch a new discover library catalog interface I thought I would point out how New IUCAT Beta will address some of these suggestions. Book covers – Many readers like to see what the book looks like as it inspires them to read it. New IUCAT Beta will contain Book covers supplied by Google Books. Eventually we hope to expand into DVD and CD covers as well. 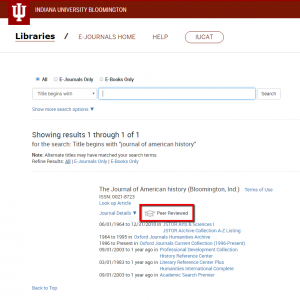 Ease of finding books – New IUCAT Beta has easy to use facets to help users limit to just ebooks, or just print books, whatever the user prefers. Ease of accessing e-materials – The New IUCAT Beta will allow users to have a one-step access to e-materials available to them. When they find an item they want, all they have to do is click on the URL. From there a login screen will pop up, the user logs in, and they now have access to their materials. There will no longer be a laborious login users have to get through. List of new books – with the New IUCAT Beta users can RSS searches, allowing them to be notified when new books are added. These are just some of the features the New IUCAT Beta has to offer users. Its an exciting and important change for IU, students, staff, and researchers. For several years, the IUB Libraries have offered reference service using instant messaging and text messaging – staff at reference desks provide the great service and DUX manages the care and feeding of Libraryh3lp, the system we use to provide the service. Libraryh3lp is an awesome product, and an awesome project – started by Pam and Eric Sessoms four years ago, it has grown so successful that they’re now doing it full time (Pam previously worked as a librarian at UNC-Chapel Hill) and they recently hired a third full-time person to provide support. You can read more about the history of the project at their blog. We get all sorts of questions, from ‘are you open?’ to ‘how do I do X in Y database?’ to very in-depth subject related questions … and there are lots of them, too – in the fall semester we averaged about 775 instant message transactions per month, peaking in November with 925 interactions. We have IM widgets in several places throughout our web site, including the Ask A Librarian page and the 404 (error) page. You can see an example widget below. 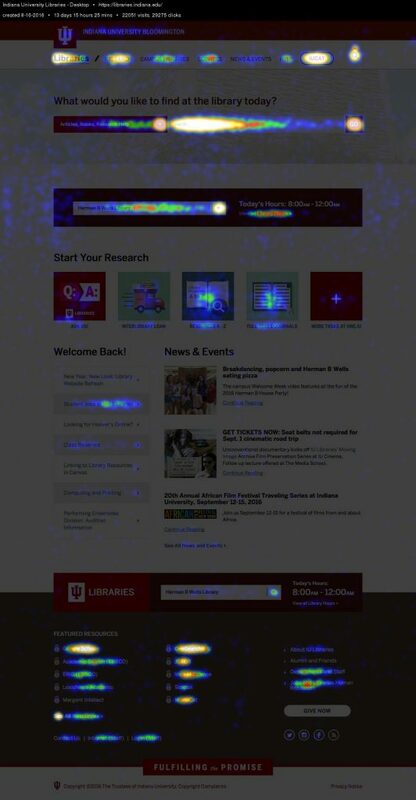 Our website: questions from the Ask A Librarian page, or any other web-based widget. In the webchat interface, we see a red ‘REF’ icon. Text message questions: In the webchat interface, we see an image in the corner that looks like a phone for these. 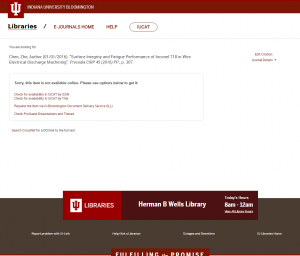 Ebsco databases: We added a chat widget that appears along the side of the search results in nearly all of our Ebsco databases, and in OneSearch@IU. In the webchat interface, we see an EBSCO image for questions from these locations. Why do we bother to sort them? To make it easier to identify the point of initiation for each question, whether that’s a specific page in our website or a results page in one of our databases. The reference desks can get a bit hectic, with staff balancing in-person traffic, telephone calls, and the IM questions. The more we know about the context of the question, the better the answer we can provide – for IM, it’s easiest to do this with visual cues in the chat application. We are also working with the Business/SPEA IC so that they can place a widget on resource pages they create to support the research in specific courses, and those questions can be funneled directly to those staff. These changes have had very little practical impact on staff (that is – no disruptions!) 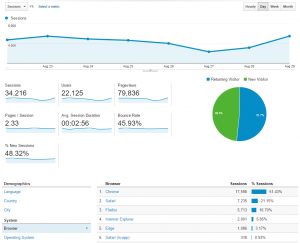 and instead seem to be pretty popular with our users. We’ve already had several contacts from within the Ebsco interface in which people just wanted to tell us how happy they were that we were there to answer questions!